I do not own this CD, but I feel like I do. I've listened to the sound clips and youtube videos over and over again. I just can;t get enough! 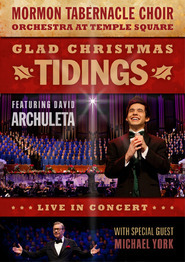 This CD is the soundtrack of my Christmas this year (as Spirit of the Season was mine last). This CD has everything I think of when I think Christmas. 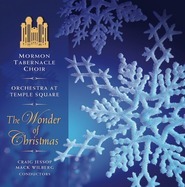 The CD is best Tabernacle Choir album since The Messiah with Eugene Ormnandy and the Philadelphia Orchestra. Several pieces brought tears to my eyes and a lump in my throat. Just powerfully happy and beautiful music. When I dropped this on the counter at the downtown SLC Deseret Book, the counter girl said "I don't usually like Christmas music, but I like this CD a lot." To find somebody who DOESN'T like Christmas music, let alone a Deseret Book employee, astounded me. That she likes this CD must say a lot about it. Well, it does. Quite possibly the greatest Christmas CD ever made by any artist. "Twelve Days of Christmas", in particular is absolutely amazing. The King's Singers really made this special. One the best dvd for the entire season. 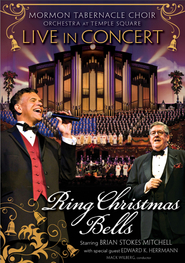 The King Singers have been a family favorite for 30 years, as have been the Tabernacle Choir. The two combined are absolutely inspirational! Never before have I heard an arrangment of "O Holy Night" that has touched me so deeply. The moment this DVD & CD became available I rejoiced...and bought both! 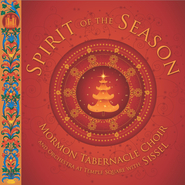 How can you go wrong with another Christmas CD by the MoTab? They've done it again! 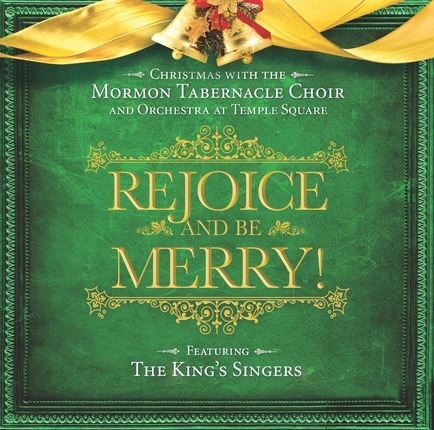 The Tabernacle Choir has produced yet another glorious Christmas CD, and it's a winner on all counts. The Kings Singers shine in their own selections (I especially love the close harmonies on "A la huella"! ), and are matched beautifully with the Choir on their collaborations. Wilberg's stunning arrangements never cease to amaze me -- how does he do it, year in, year out?! The Choir, Orchestra, and Bells are in top gear throughout. "Twelve Days of Christmas" and Richard Elliot's organ solo should probably be watched on the concert DVD in order to fully appreciate their visual brilliance, but they are showstoppers, and "O, Holy Night" gives me tingles every time. I thought the Sissel CD last year was as good as it could get, but this disc is every bit as enjoyable. 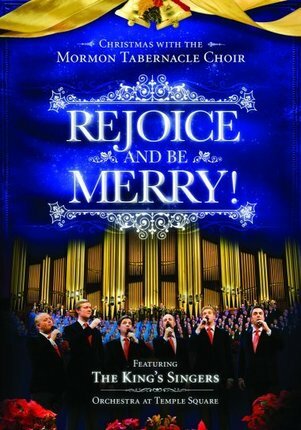 Can you ever go wrong with Motab? NO! Great for getting you into the holiday spirit.